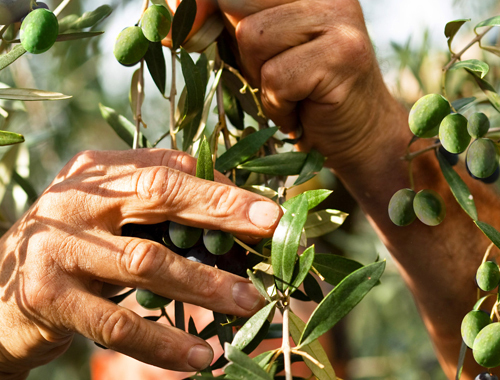 Since 1955 we monitor every step of the process with great care to guarantee the nutritional and organoleptic properties of ”Agape” olive oil. The extraction process has to be done in a clean and oxygenless environment, to avoid the oxidation process. This is the reason why the modern three or two phases oil decanter is preferred to the traditional method made by millstones and presses. The storage of the olive oil has to avoid heat, light and air.